A GREAT WAY TO RELAX AND SPEND TIME IN GOOD COMPANY! Coastal VIP-sauna is located on the lake shore, opposite the pier for boats. The outside the sauna there is a terrace with garden furniture. 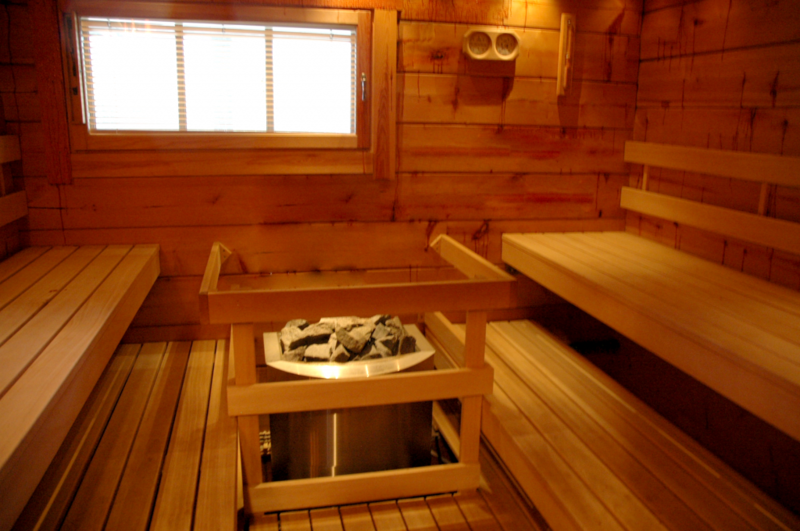 Sauna area is 54.8 square meters. Sauna steam room is equipped with the furnace, a bathroom with a wooden bath, a relaxation room with fireplace, a dishwasher, a refrigerator, a cupboard, a washing machine, a toilet and two wardrobes in the dressing room. Fireplace is made as a design project; forging is made of metal by Finnish artist and furniture was designed by Finnish designer Antti Sakkari. The walls are decorated with tapestries in the style of “patchwork”. You can book the sauna at the reception. Finnish sauna has a long history. For the Finns sauna is not just a way to bathe and relax. This is a generally a ritual, an integral part of the Finnish lifestyle. The population of Finland is 5.1 million and number of saunas (in separate buildings) is 1.7 million, ie, one sauna for three people. So, there are more saunas than cars per population. The first saunas were very primitive: ripped out small caves, where was built hearth (dug-saunas existed before the 20th century). 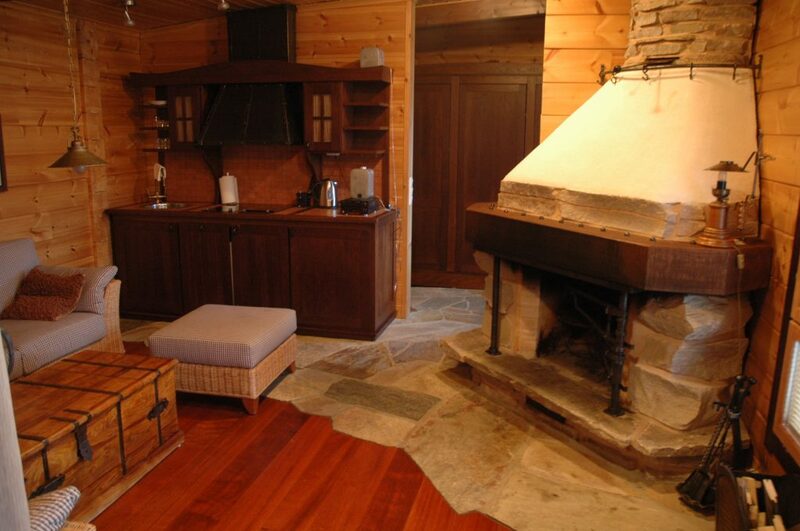 In the 12th century people began to build separate sauna buildings, but without a chimney. Smoke went out of the open door or a hole in the ceiling. In the 20th century sauna began to take the form we all know now.